If it looks like beer, smells like beer, and tastes like beer, than it is probably beer! The statistics for 2015 craft sales have been released and there are really no surprises. Volume for the craft segment is now at 12% of the US market, a 13% increase over 2014, which translated to 24.5 million bbls and $22.3 billion. A nice increase over 2014 numbers which were 19% of the total dollars in beer compared to 21% in 2015, or just over one fifth of all beer sales. The number of operating breweries jumped again, up 15% to 4,269 breweries. The total breaks down as follows: 2,397 microbreweries, 1,650 brewpubs and 178 regional craft breweries, an increase of 620 new breweries, with only 68 breweries closing. Virginia, Florida, North Carolina, and Texas led the growth with each state opening more than 20 breweries each. The Brewers Association predicts more growth for crafts in the coming years. All of us in the industry agree, we just do not know how big that growth will be. The craft segment has been around for a longtime, as have the imports. Growth for crafts accelerated once InBev bought AB. Both ABI and MC have lost millions in barrels since then, but trends could soon be changing once again. In recent years, two trends in crafts have jumped to the forefront. One, the long tail of crafts have been the players who have produced the most growth; and two, the major crafts have sold either all, or a large part of their companies. A third trend is now emerging. BrewDog, the UK based, highly successful craft which is building a major production facility in Columbus, has just filed with the SEC. Their intent is to offer over one million shares to the public. If fully subscribed, BrewDog will raise over 50 million dollars, most of which will be invested in brewpubs, marketing and expansion. BrewDog’s target is to sell over 85,000 bbls.in 20 states the first year! They are building a brewery with a capacity of over 100,000 bbls. The plan is to be at 1.5 million bbls! BrewDog is the most ambitious, however, there are others with similar goals. Another new announcement, more along the line of a JV model, is the building of a brewery with Atwater and Flemish Fox, led by Christina Celis in Austin. The project capacity for this project will be near 60,000 bbls. with a 27,000 sq. ft. brewery, and anticipated to open next year. In the Texas Hill Country, another brewery is currently close to being completed. Altstadt Brewing Co. in Fredericksburg will brew German beers under the direction of Peter Boettcher, a master brewer from Germany, previously of MillerCoors. Altstadt Brewing will also be a destination brewery with a capacity over 20,000 bbls, a restaurant, beer garden and meeting halls. The beer will be brewed under the Reinheitsgebot law using only the best ingredients. Altstadt is considering a German Kolsch, Lager and others including Alts and Radlers. Rest assured, more of this business model will be coming in the near future. What beer is really seeing is not just the growth of craft, but the growth of beer, period. Heineken and Constellation, along with AB, MC and other new breweries see one thing: Growth in beer. The money is coming in because the opportunity is there. If it looks like beer, smells like beer and tastes like beer, it is probably a beer! There were times years ago that beer company route salesman played rough games with each other’s products. Many decades ago I can recall when the beer in my long neck bottles had gone flat even though the beer was fresh and had been refrigerated. Upon inspection, one could see that the crowns had been cracked just under the bottle caps. I have also seen pins stuck in keg lines, which caused foaming, and Vaseline put on keg equipment. These tricks were mean and vicious, but somewhat manageable by all route drivers. The old adage, “if you are willing to play, you had to be willing to pay,” was certainly true. Funny how your five cases of beer suddenly disappeared under 100 cases of milk cartons! While all these shenanigans went on at the distributor level, almost all breweries seemed to conduct market practices above board. Sure we were all competitive and sometimes a little over the top, but for the most part, business was conducted with a sense of respect. Having said that, I do remember two occasions when the industry went just too far. Many years ago Coors Brewing Co. produced, bought and ran ads in a number of major cities, including St. Louis and Milwaukee, stating that both Budweiser and Schlitz contained fusel oil. The ad campaign indicated that this fusel oil was a byproduct of each brands’ brewing process and was a cause of a drinker’s hangover. Augie III immediately called Pete Coors and had the ads pulled because of the damage they could do to the entire beer industry, not just AB or Schlitz. Coors immediately stopped the ads. In the late 80’s, during Corona’s rapid sales growth, a distributor in Utah started a rumor that Corona was being filled with urine. 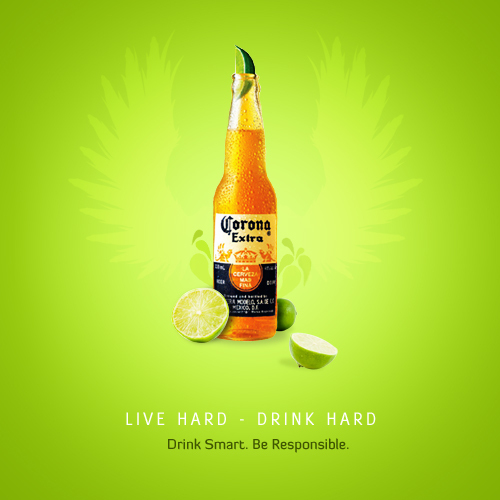 This rumor spread rapidly and had an immediate negative effect on Corona’s sales. The source of this rumor was hunted down, the rumor was stopped and Corona’s sales began to again increase. In 2016, one would think that individually, and collectively as an industry, these games would have ceased, but perhaps that is not true. Corona’s success is remarkable and has been for decades. Many suppliers have tried to slow down or mimic this beer giant’s success, but each time they have failed. Now we have learned that perhaps Corona is being undermined. We all know that ABI sold the US Modelo rights to Constellation Brands, thus enabling ABI the ability to close on Modelo. Since 2008, ABI has lost 10 million bbls. +in US sales and the trend continues. Much of their volume loss has gone to Modelo. Now word comes out from ABI that Corona, which was bottled at one of ABIs breweries, has been found to have glass particles in some of the liquid. This beer has been shipped to the US and Guam. Some in the industry may think this is underhanded and could well be ABIs attempt to hurt Corona’s sales in the US. It could, but it could also be just another of the many trip-ups ABI has experienced in the US. ABI has underestimated the US market or overestimated their own capabilities in our market. Only time will tell. Let’s hope for now though that no one gets hurt by drinking Corona. No matter what ABI does, nothing is original except what is forgotten. When you lose you are in a no win situation..
About 16 years ago, while Glazers was building their craft and import business, an effort was made to gain statewide distribution rights to a small but successful craft brewery located in Blanco, Texas. At the time, Real Ale Brewing Co., which was brewing in the basement of an old building in this small town, sold their beer only in the hill country and Austin. Its flagship brand, Firemans4, was highly acclaimed and doing quite well. Real Ale was beginning to expand its capacity, having purchased some used equipment from Shipyard Brewing, which also had new brewing equipment. With this expansion, Real Ale was planning to expand its distribution into Dallas, Houston and San Antonio. This plan fit well the Glazers’ model and when visiting Real Ale, Glazers was offered the opportunity to distribute in the entire state of Texas, with the exception of Austin. The head of Glazers’ beer division at that time had a policy of all or nothing, meaning unless Glazers was offered the opportunity to distribute in all the counties in Texas, he would turn down the brand. While Real Ale does not release annual volume numbers, it is estimated that the brewery now does about 60,000 bbls. a year in sales. Looking back, one must question that decision and Glazers’ policy, to turn down what has become a very attractive brand and business. A number of statewide distributors who are specializing in crafts and imports have policies similar to that of Glazers’ when it comes to the distribution of new brands. Obviously, this works for both parties under the assumption that the model fits the objectives of both sides. Of course, there could be exceptions to a statewide policy depending on the size of the new brand. As an example, if Yuengling decided to expand into Texas, would a distributor such as Glazers turn down rights to a major market because of this policy? Probably not. 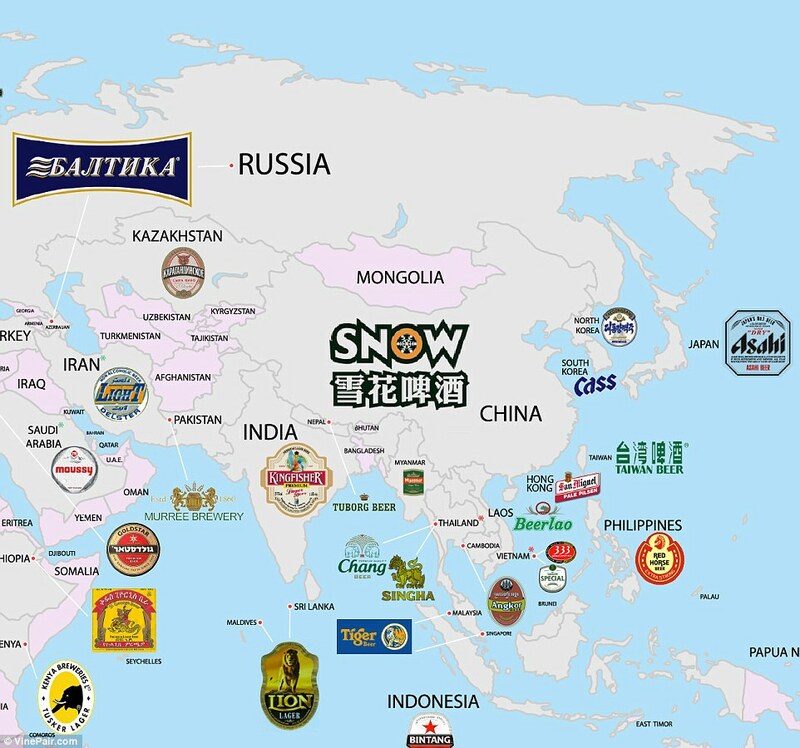 Recently, the industry has learned that ABI came to an agreement to sell the rights to Snow beer in China. Snow is not only the largest selling brand in China, but also the largest selling brand in the world. Obviously, this agreement by ABI is one more step to ensure that the acquisition of SAB is approved by all parties. This action is similar to what ABI agreed to do in the US, by selling Miller brands back to MolsonCoors. On the surface, one wonders why ABI would want to sell its interest in Snow. With a market share just over 30% in China, the world’s largest country, is seems a bit ludicrous, but ABI is not an all-or-nothing company. ABI wants to play in the high-end, and now they have the labels in China to do so: Budweiser, Corona and Stella. ABI’s track record on maintaining market share is, at best, questionable, so why not divest Snow and spend their effort on the high ends? ABI gets it… let’s get the deal for SAB done, and combining both companies is the main goal of ABI. While ABI had hoped they could complete this acquisition with Snow, divesting Snow was also in their plans. Once this deal is done, what next? Carlsberg, or maybe even Heineken? Perhaps Coke? Whatever they go after, and they will go after others, ABI will get it done. When you lose, you are in a no-win situation. Everything is in a state of flux, including the status quo. The US is in the mist of one of the most important Presidential elections of our time and next week should end any speculation as to who will be the Republican and Democratic nominees. This election will certainly dominate all forms of media thru November and into next year. During the race for the White House in 1989, George H. W. Bush, in one of the most repeated comments in recent years, said, “Read my lips, no new taxes!” Those of us who were around during that election remember that soon after Bush was in office, he doubled the beer excise tax. The industry hit the brakes and growth was minimal. At this point, none of the candidates are supporting tax increases on beer. At least not publically. Nobody knows what will happen next year, but any increase in federal taxes will no doubt put a sizable dent in beer sales, similar to what happened 25 years ago. Given recent sales numbers, the last thing the industry needs is a tax increase. As the industry gears up for its first big holiday, St. Patrick’s Day, Nielsen numbers are not encouraging. The February 20 data clearly shows that the industry could be facing a difficult year. All volumes are down 3.3%, which puts the year-to-date number also at a negative, -0.3%. The categories that showed increases were FMBs +13.7%, imports +6.2%, super premiums +3.5% and, of course, crafts up +2%. During this period, AB is down -5.7%, and -2.6% year-to-date, which translates into a share loss of 1.3 points. MillerCoors is negative at -4.9%, and -2.1% year-to-date. Both Miller Lite and Coors Light are down over -3%. Crown, however, continues to do well at +13.4%, and now +15.7% year-to-date, which translates to a 1.0 increase in share. While one period does not make a year, indications are it could be a difficult year for many in the industry. Even with these soft numbers, and depending on how the election unfolds, the industry continues to attract and create excitement. Crafts, flavors, fruits, and now sodas are driving new categories and interest so the question is: will this continue? At this moment, in the middle of teaching Portland State’s Business of Craft Brewing class, I have 50 students, more than double last year’s class. And there is even a wait list. Students are from all over the world, including Switzerland, Wales, Australia, and Canada are taking this course, along with US students from multiple states. There are many students enrolled in the cider side of the business, as well. The small, local crafts are now driving the business and are continuing this segment’s dynamic growth, aided by ciders, flavors and sodas. It appears that given the level of interest, such trends will continue. None of these individuals are looking at industry trends or political ramifications for tax purposes, they just want to be in the beer business. The beer industry could come out of the 2016 election cycle with a target on its back and that is the very last issue the industry needs. Crown being the exception, everything is in a state of flux, except the status quo. Modelo’s rise started in the early 1980s at the same time that two key strategic decisions were made by the company. The first decision was to go to the clear bottle, still used today, and the second decision was to create two importers: Gambrinus, located in San Antonio and designed to serve the eastern half of the US and the other, Barton Beers, out of Chicago, to serve the western half of the US. Even though both companies distributed Modelo for only half the US, both companies added critical mass by bring in imports with national footprints to their portfolio. Barton added St. Pauli Girl and Tsingtao, and Gambrinus, which already distributed Shiner, added Moosehead, and later Pete’s Wicked Ale. These brands gave both companies the opportunity to sell product in non-Modelo markets. Their footprint was the entire US market. When Modelo left Gambrinus and went to Barton (now called Crown), for their entire US market, Barton already had a sales force in place with knowledge of key markets outside of their Modelo footprint. Obviously, they had to ramp up dramatically due to the Modelo volume, but they were familiar with the new markets. Today, Crown no longer imports St. Paul Girl. Moosehead left Gambrinus to go out on their own, but now they are part of the portfolio of United States Beverage. As has been previously written, both Moosehead and Warsteiner attempted to merge into a JV which would have created a competitive importing company. Unfortunately, for both companies, this JV did not happen. Today, Warsteiner remains an independent operation. Recent statistics have shown that imports now are at a 15% share, driven by Mexican imports and Stella. Given the growth of the craft segment, some imports are doing extremely well. Some are not. For those imports who are struggling, a recent statement by one of the owners of Good Life Imports, sums up the struggles. The owner eluted to the fact that the US was supposed to be a capitalistic and free market society, which should make success possible, however, he was surprised at the difficulty Good Life Imports had in getting their gluten free beer, Kukko, from Finland into the US market. He noted that it was more difficult to import into in the US than in many other markets in the world. Good Life is importing Kukko as an independent importer. Two other crafts, Victory and Southern Tier, recently announced a merger. Once again, the two companies were driven by critical mass, backroom savings, extra capacity, new footprints, and expanded talent base that the merger would create, thus improving their business. Crafts are creating companies together, just as distributors have been doing for years. The question is: what is next? With Crown and Heineken getting involved in crafts, anticipate imports joining these craft JV’s. Independent imports, struggling to get focus, could become a member of these models. The imports would benefit from the obvious: critical mass, feet on the street, focus, chain emphasis, on premise growth and many other areas that are out of their reach. In return, the craft partners would have doors open for them in overseas countries through their import partners. Why start from scratch? The future will see imports and crafts getting together. It works for both. It is all about attitude. Attitude is a little thing that makes a big difference.